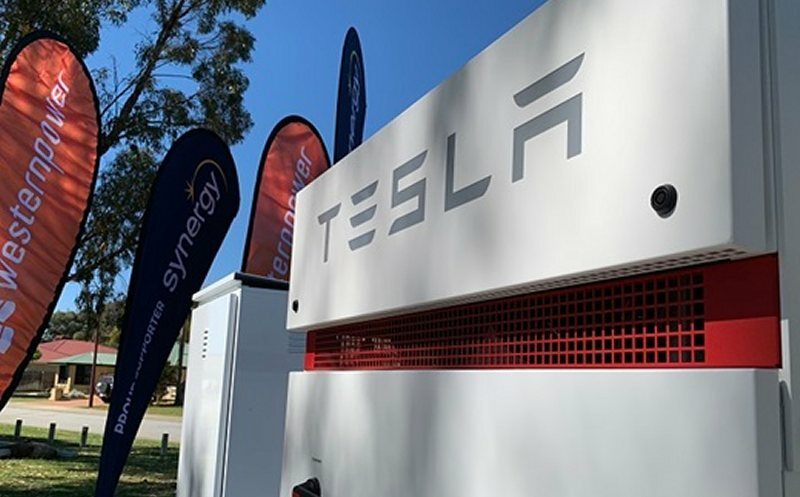 Western Australian Energy Minister Ben Wyatt yesterday announced further details of PowerBank – a Western Power/Synergy trial offering virtual energy storage to solar households. We first mentioned the trial back in March, but at that point there was little in the way of detail. PowerBank consists of a Tesla Powerpack battery system connected to the grid in Meadow Springs, with 52 local solar households to ” feed in” and draw energy from the system. It’s safe to assume there won’t be big, long cables running from these houses to the Tesla system – it will just be a situation of recording exports and consumption by these households. The battery system will be primarily charged by the mains grid during periods of low demand. Participating households will be allocated a maximum of 8kWh of virtual storage, to use any time after 3pm each day (until what time wasn’t noted) and this access will cost a dollar a day. The Tesla system is 420kWh capacity, meaning two Powerpacks are involved. The trial will run over two years, but participants won’t be locked in for that entire period – they can quit the initiative when they choose. While acknowledging PowerBank won’t suit all solar households, Mr Wyatt says it will increase choice for customers. Just as a comparison – the cheapest cost per warranted kilowatt-hour1 of all the batteries listed on SolarQuotes’ solar battery comparison table is 20c + inverter cost (DCS PV 13.5) and the most expensive, $1.07 (Hansol AIO 7.2 – all in one unit). Tesla Powerwall 2 comes in at around 32c per warranted kilowatt-hour + inverter cost. 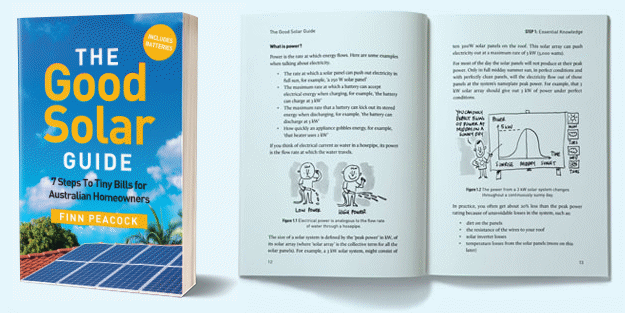 At a dollar a day, PowerBank works out to 12.5c per kilowatt hour for a household to buy back the electricity its solar power system has produced, assuming 8 kilowatt-hours is exported and then consumed daily. But that amount may not be “exported” to PowerBank each day, for example, during unfavourable weather conditions – and 8kWh of virtual storage may not be used daily. These factors would push up the average cost per kilowatt hour. Also, both the Powerwall and DCS battery units offer much more capacity (13.5kWh) than what the PowerBank trial is offering and a self-owned battery can provide electricity as needed rather than just after 3pm each day. A plus for participating households that may have otherwise purchased a battery, aside from not having to stump up a significant amount of cash for a system, is that it means one less piece of equipment to watch over. Regardless of any of this, it is just a trial and the results will be interesting. The system won’t be exclusively used by just 52 households and only after 3pm each day, it will also be utilised to help generally manage peak demand in the area and may be called upon to perform other services. The recruitment of participants for the trial began yesterday, with Synergy contacting those eligible by mail. No doubt there will be some solar households in Meadow Springs eagerly awaiting the postie.